Only a few years into her career at McLane, Graf, Raulerson & Middleton, Jennifer Parent recognized the need to cultivate female leadership in a male-dominated industry. In 1998, she succeeded in helping to form the New Hampshire Women’s Bar Association, a statewide network for women attorneys. She served as president of the association from 2000 to 2002 and still works on the Past Presidents’ Council, advising the board of directors on matters of history, long-range planning and other topics. Well-respected in the state’s legal community, the association is just one of Parent’s several accomplishments in her practice, community involvement and advancements for women. From 2011 to 2012, she served as president of the New Hampshire Bar Association, the only president of the NH Women’s Bar Association to hold that role. 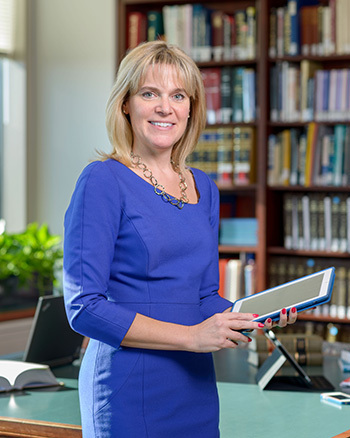 Parent’s election to the executive council for the National Conference of Bar Presidents, one of the most prestigious groups in the country, illustrates her influence and professionalism that shapes the legal system in New Hampshire and beyond. Q. What are some of the biggest challenges to getting where you are today? A. The emerging technologies – I do remember when I started we were on DOS, when you had to hit the F1 and F2 keys. The legal landscape has changed with the advancement of technologies and the changes it brings. That’s both a challenge and an opportunity. But I do think what’s key is effectively meeting that challenge and embracing and seizing upon the opportunities, when they come up. Q. What did you aim to achieve by founding the N.H. Women’s Bar Association? A. We were looking to create that network for women lawyers and that opportunity for leadership. When we started the Women’s Bar in 1998, we were surrounded by the “Year of the Woman.” We had our first woman governor and our first woman U.S. attorney general. We used that momentum to create the Women’s Bar. A. I have had, and continue to have, a number of mentors in my life – both women and men. Some of them probably have no idea I look up to them. While staying true to myself, I try to emulate the traits of those I respect and admire and who I think are successful lawyers and leaders in our communities. I have also been extremely fortunate to have people in my life who have taken an interest in wanting me to advance. McLane is a great place to work because they provide that opportunity. I was very fortunate to find myself here. 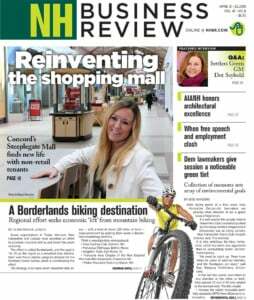 A. I wrote a column, when I was president of the New Hampshire Bar Association, on balance. I said I would use the words “outlet” and “recharge.” What is it we each do to recharge ourselves and refocus? That’s individual to each person. It could be as simple as sitting down to dinner with family at the end of the day or cooking on the barbecue, or planting the herbs in your garden. The challenge is knowing when you need to do that. A. Get involved, be engaged when you do get involved and set goals for yourself. Because, I know someone said it before, but a lot of success in life is being in the right place at the right time so you can take that opportunity when it presents itself. Also, hard work is the best foundation to any career.